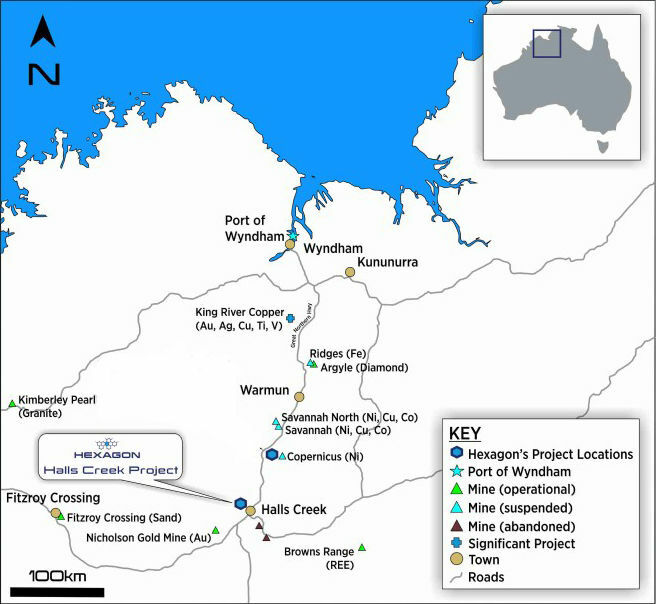 Hexagon Resources (ASX: HXG) is seeking expressions of interest for the purchase or a Joint Venture Agreement regarding its Halls Creek Project in the East Kimberley region of Western Australia. 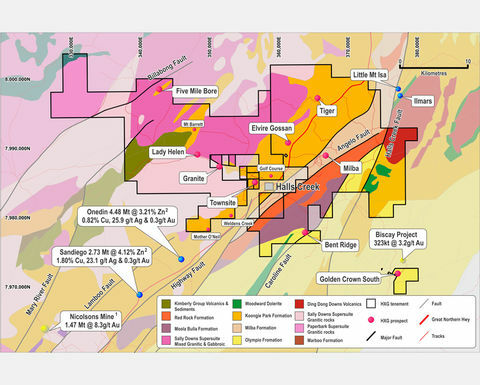 The Halls Creek Project (HCP) comprises 12 granted tenements covering an area of 749km2, consisting of four Exploration and eight Prospecting Licences near the town of Halls Creek. HCP is a combination of early and advanced exploration prospects. 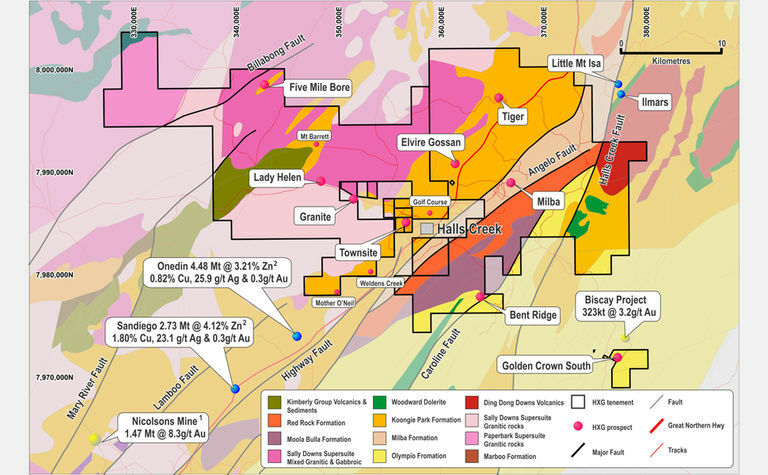 Hexagon has identified several precious and base metal targets including Lady Helen, Bent Ridge, Granite, Townsite, Milba, and Tiger. 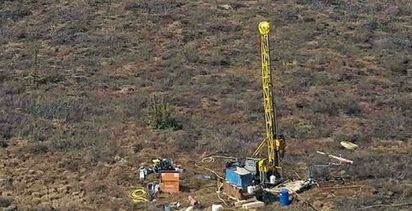 Lady Helen is considered a high-priority target which has returned results of up to 70g/t gold and 50g/t silver from rock-chip samples, however, all these targets would benefit from further follow-up exploration. The HCP project area covers Paleoproterozoic rocks of the Halls Creek Orogeny. 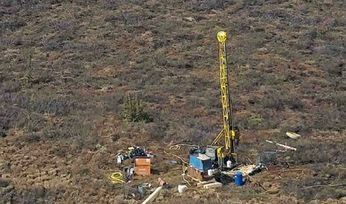 Hexagon is developing its McIntosh flake graphite project in a Joint Venture with Mineral Resources Limited (ASX: MRL) and considers the HCP to be a non-core asset. It is considering sale or farm-out options for the asset.